Repugnantes Revisited, Conclusion – Catbeard the Pirate! They’re off! How long do you figure it’ll be before a distraction ruins their day? If you want to read this storyline from the beginning, click here! 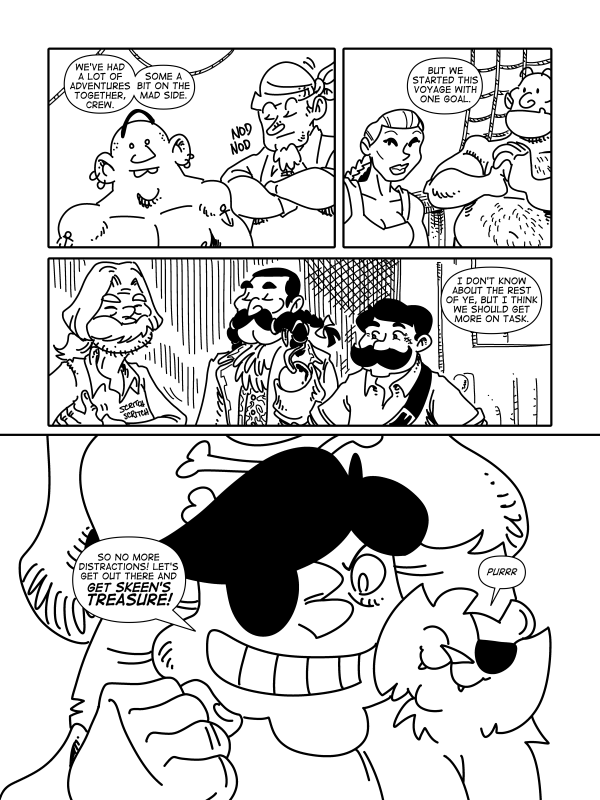 Okay, keep an eye out, as the Catbeard Book Four Kickstarter will be starting soon!